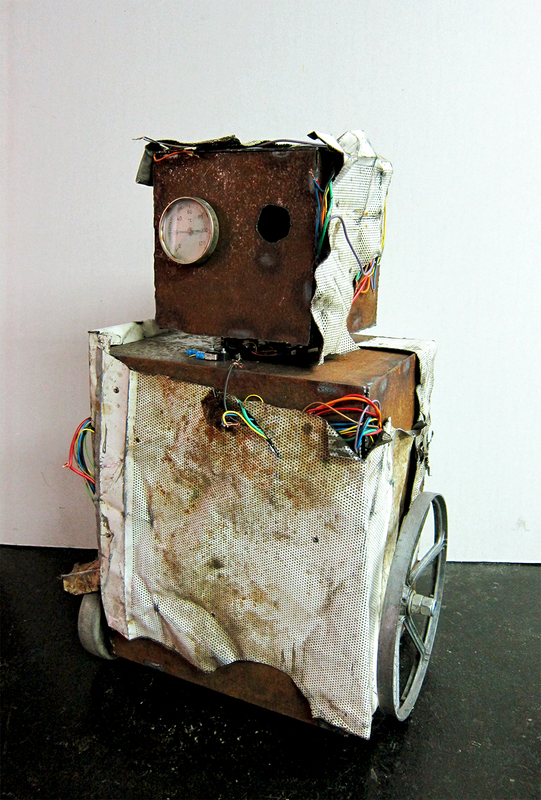 I’ve constructed the bum bot out of old metal we got at a scrapyard in Linz. The head is mounted on a 12V DC Motor and will be able to track bypassing persons through VVVV and a webcam. Mechanical sounds are played over an active speaker inside and the machine will burn electronical parts in order produce the right smell of a broken machine. When I am finished doing the electronics a street performance will take place. I will keep you up to date!